The trade deficit, which was made a big deal by president Donald Trump and ignited a trade war with China, has worsened. The United States has so far lost big in the core driver of the trade war (the trade deficit) that was a top complaint of Trump’s and the U.S. may have already lost this trade war. Exports of goods from the U.S. were slashed 26.3% and imports rose 38.5% worsening the trade deficit – which the tariffs were supposed to correct. The Trump Administration’s trade warfare with China began in earnest last March following steel and aluminum tariffs that primarily hit other countries. 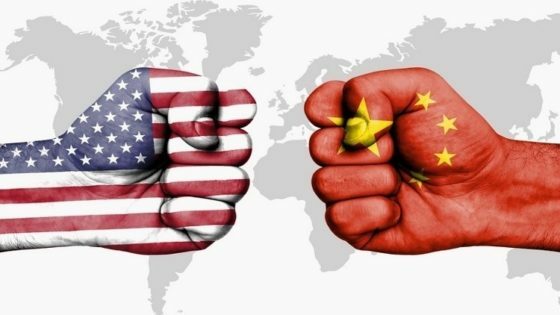 The U.S. and Chinese tariffs on each other’s goods then escalated repeatedly through September 18 with threats of much more the same by March 1 of this year. There are no winners when an economic war such this is declared, and so far, the U.S. appears to be on the losing side. Americans are already living paycheck to paycheck with the increased cost of goods forcing the use of credit cards to make ends meet or they will see a massive decrease their standard of living. According to the Cato Institute, Reuters, using Chinese data, estimated the U.S. trade deficit with China rose 17% last year. In fact, a report by the Daily Mail claims that China’s trade surplus to the U.S. is at an all-time record-breaking high of $323 billion. In light of the tariffs, Beijing has encouraged Chinese businesses to buy more goods made in their country while avoiding goods from the U.S. And it’s appearing to pay off. America has all but lost this economically disastrous trade war. Trump and his Chinese counterpart, Xi Jinping, agreed on December 1, 2018, to postpone additional tariff hikes by 90 days while they negotiated more terms of this war. But penalties of up to 25 percent already imposed on billions of dollars of each other’s goods remain in place, raising the cost for American and Chinese buyers of soybeans, medical equipment, and other goods. December’s trade contraction is “likely to continue into 2019 due to falling foreign demand, including demand for Chinese-made electronic products,” Iris Pang of ING said in a report.